It’s always fun when an outlet like The Hollywood Reporter has to preface a news story with “this is no April Fools’ joke.” After all, today is the first of April, and it’s a bit tough to completely avoid things that are designed to expose fools for what they really are. This story really does warrant that disclaimer, though, because it’s pretty weird: According to THR, Will Ferrell and Kristen Wiig secretly made a Lifetime movie—and not as a Funny Or Die sketch, either. This is an actual Lifetime movie that’s going to actually air on Lifetime in honor of the 25th anniversary of the network’s first foray into the (varyingly) trashy TV movie business. Titled A Deadly Adoption, the movie stars Ferrell and Wiig as a married couple who take care of a pregnant woman so they can adopt her baby once she gives birth. This is a Lifetime movie, though, so “things quickly go awry,” as THR puts it. 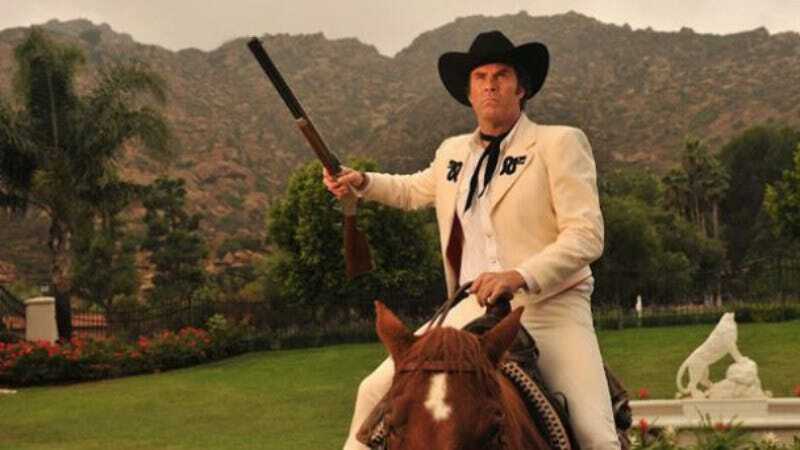 A Deadly Adoption is being billed as a “campy and fun” satire of Lifetime movies, and its script was written by Andrew Steele—the guy behind IFC’s The Spoils Of Babylon, which was also an elaborate TV genre parody. A Deadly Adoption is set to premiere on Lifetime early this summer.